It’s time for me to write you another well overdue letter as you start back to school in year two. Indeed the last time I wrote you a letter was on the day you started year one, so a whole year has passed. When you were a baby and a toddler I used to write to you often, in fact before you were born I wrote hand written letters to you too. But as you have gotten older the frequency in which I have written to you has dwindled. A lot of that is down to us being busy, but also because of the fact that we are recording our memories elsewhere on this blog and on you tube so you will have more than enough memories of your childhood. That being said I hope there is something so special about reading how I felt about you and what you were doing at certain ages, so of course I will keep on writing them to you every now and again until you tell me to stop (and even then I will probably still write them privately too!). We have had a great summer. As usual it has passed by in a flash, even though at the beginning of the holidays all parents think that six weeks seems like a long time. I remember the start of last summer, you were being quite ‘hard work’, testing the boundaries, not listening, playing up. Of course there has been moments of that here and there this summer but I don’t look back on this summer like that at all. We have had a lovely time and you have been great company. You are still the one out of the three of you that needs the most attention- you are a funny little character who is loud, hyper, can never sit still and who is always on the go. Sometimes you push my buttons and make me frustrated, but for the most part that doesn’t happen so much anymore. We have come to realise that these quirks make you who you are, a chatty, funny, outgoing little girl, and I am very proud of you indeed. Through all that loudness, the charging around and the fact you can’t sit still, there is a girl with a heart of gold. This summer I have been blown away by how you are with your little sister, and with your brother too. On occasions you and your sister have argued and fought, and I have had to break up a scrap or two. But for the most part you have become even closer to your sister this summer than I could have imagined considering you were already as close as can be. Since we moved house and you have beds side by side, you have rarely been in your own bed. Whereas a sleepover (where you would sleep in the same bed) used to be a weekend treat, over the summer it became a full time thing. The last couple of days in order to get back into a routine for school we have told you separate beds but every time we come up to go to sleep ourselves we find you both cuddled up together asleep. While a small part of me thinks we need to get back into a routine, the other part of me thinks you won’t want to do it forever so just let you be snuggled up close if that makes you happy. This summer you have played together so nicely (for the most part bar the arguments) and it honestly is a joy to watch you together. I have watched you play for hours doing strange little games- this summer you found zomblings which you love, and you play spies for ages too. I just know you are going to be amazing at looking after your sister when she is at school, she is so excited to be joining you as she looks up to you so much. You are the same with your brother, you have such a special bond with him. He adores you and this summer your bond has got even greater. You are at an age now where I trust you to look after him, say for example if I am having a shower I trust you to watch him downstairs. You make him laugh constantly, you carry him round like a sack of potatoes which he takes with good humour, and you play with him a lot too. As he gets bigger your relationship gets better and I can’t wait to see what the future holds for the pair of you. It makes me want to burst with pride to see how you take on your big sister role so well, with both your sister and your brother. You are an exceptionally kind and loving person and I hope that you never lose that trait. This summer has also been all about football. Over the past few months you have become football mad and have been playing it after school. After being better than all of the boys in your little after school class (thats my girl!) we decided to try and find you a team to train with. It’s taken all summer but Daddy has finally found you one and you go from this week. You are so excited I feel like you might burst as football is your favourite thing to do at the moment. This summer you also went to a football summer school for a week which you loved. I am so proud of how you take to new situations and scenarios with such confidence. But now it is back to year two. I can’t believe it, even those words sound alien to me. 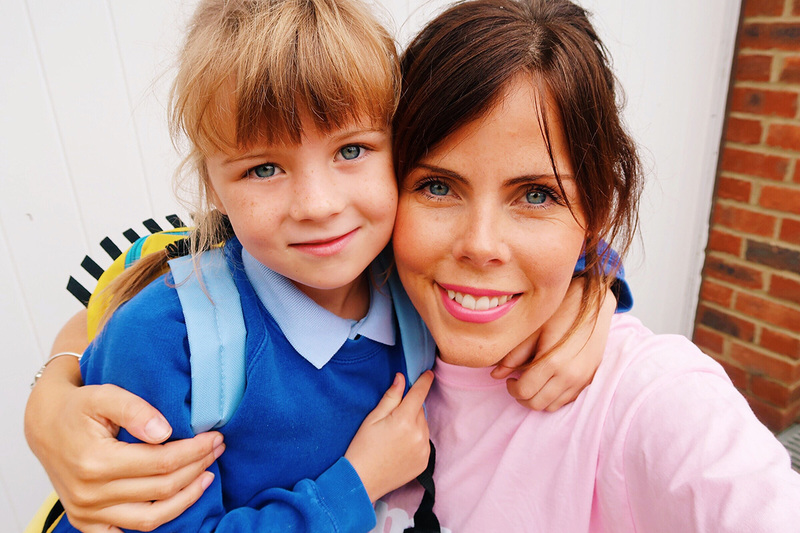 For some reason those few years I had you all to myself before you started school seemed to go quite slowly in parts, I couldn’t ever imagine having a school girl. Then you started reception and now the time feels like it has passed by in a flash. Last year you were no longer the littlest but as they have mixed classes in your school, you still had the same teacher and the same classroom. You were still in the youngest class. This year it’s a new teacher, a new classroom and a new line to stand in further along the playground to make way for the little ones. I don’t stand in the special reception and year one playground to pick you up, instead standing with the rest of the school mums in the other bits. Although small things it is a stark reminder that you are growing up. I have realised over the summer after being around other children your age that you are very mature for your age, especially in the way you speak. I am proud of you for being so articulate but I hope it doesn’t mean that you will grow up too quickly. You are so excited about being back at school. You love it and there isn’t a day when you don’t skip in happily. I love that you are happy and settled but every month that passes just means you are growing up more and losing your innocence. I am not ready for the day when you won’t want to hold my hand as we walk into school or bound out and throw yourself into my arms for a cuddle when the bell rings and you leave for the day. I can’t wait to see what Year Two brings you but at the same time I wish time would slow down just that little bit more. 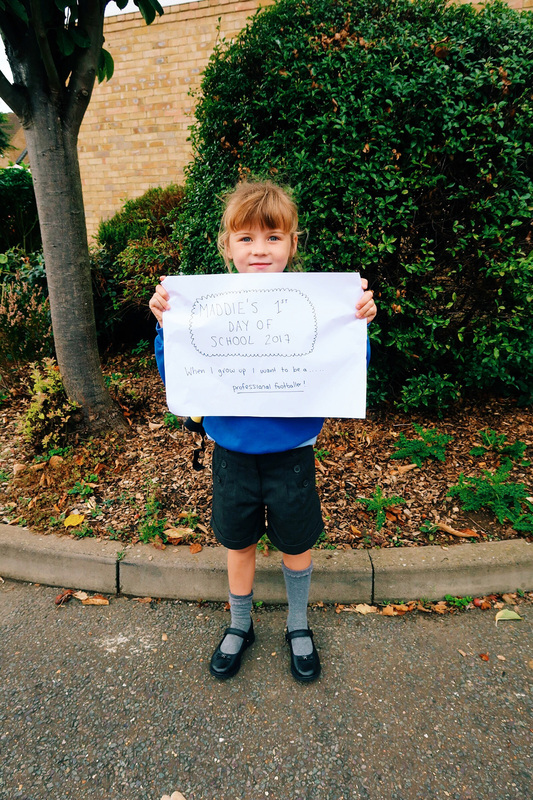 Do Year Two proud Mads. Mummy loves you more than anything in the world. But as always you already knew that. You can check out the rest of my letters to my three here.